Home loan affordability worsened across most of New Zealand in March at the fastest rate since January 2002 as median house prices rose and interest rates started rising, the Roost Home Loan Affordability reports  show. A 6% rise in the national median house price in March from February drove most of the deterioration. The Reserve Bank's decision to raise the Official Cash Rate by 0.25% on March 13 drove the rest of the increase in borrowing costs measured in the Reports. Banks passed on the increase in full to floating mortgage borrowers and average fixed mortgage rates have risen around 0.7% in the last eight months in anticipation of the Reserve Bank's tightening. The Reserve Bank's imposition of a speed limit on low deposit mortgages in October has also cooled activity and prices in the housing market in recent months, although medians continued to rise. However, banks are increasing their appetites to lend to both high and low deposit borrowers and brokers report banks are returning to the market in droves now they have adjusted to the Reserve Bank's speed limit. 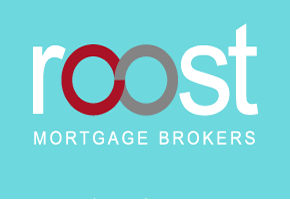 "The banks are back out looking for high LVR borrowers and are doing deals for those borrowers who are well organised and argue their case well through a broker," said Roost Home Loans spokeswoman Colleen Dennehy. The Roost Home Loan Affordability reports show national affordability worsened to 63.3% in March from 58.8% in February after the national median house price rose to NZ$440,000 from NZ$415,000 in February. This was the biggest increase in the borrowing costs percentage since January 2002. Average floating mortgage rates rose the full 25 basis points to 6.01% in March and the average advertised 2 year mortgage rate rose to 6.13% from 5.96% at the end of February. It is up from 5.4% in May last year. The Roost Home Loan Affordability reports  for March showed affordability for regular home buyers worsened in 19 cities, including all of Auckland, the Waikato/Bay of Plenty, and all of the South Island except Invercargill. Affordability only improved in Rotorua, Napier, Gisborne and Wellington City because of lower median house prices. It was toughest for first home buyers on the North Shore of Auckland, which kept the title of the least affordable city. It took 109.1% of a single median after tax income to afford a first quartile priced house on the North Shore in March, up from 103.4% in February. Fixed mortgage rates, which more than 50% of new borrowers now use, have risen around 40 basis points since mid December and rose again through March. The Reserve Bank is forecasting it will raise rates by 2.5% or 250 basis points by early 2017, although aggressive discounting by banks in early April may soften some of that blow for borrowers. Housing affordability has become a major economic and political issue over the last year. The Reserve Bank and Government agreed on a toolkit of 'macro-prudential' controls a year ago that would see the central bank impose limits growth in high LVR mortgages and force banks to hold more capital. Central and local governments are also moving to address housing supply shortages. The Reserve Bank's speed limit was applied on October 1 and it said in its March quarter Monetary Policy Statement it appeared to have worked to reduce house price inflation by around 2.5 percentage points. For first home buyers  – which in this Roost index are defined as a 25-29 year old who buys a first quartile home – there was an worsening in affordability in 15 of the 24 regions covered. It took 52.0% of a single first home buyer's income to afford a first quartile priced house nationally, up from 48.3% a month earlier. The most affordable cities for first home buyers were Wanganui and Invercargill, where it took 20.9% of a young person's disposable income to afford a first quartile home. The least affordable was the North Shore of Auckland at 109.1%. For working households, the situation is similar, although bringing two incomes to the job of paying for a mortgage makes life considerably easier. A household with two incomes would typically have had to use 41.5% of their after tax pay in March to service the mortgage on a median priced house. This is up from 38.6% the previous month. For first-home buying households in the 25-29 age group (which are assumed to have no children), affordability nationally worsened to 25.2% of after tax income in households with two incomes required to service the debt, up from 23.3% the previous month. The lower quartile house price rose to NZ$295,000 from NZ$280,000 the previous month.